If you read the statement closely you will see "and, it would appear" inserted before the declaration there has been "an increase of extreme weather events." It would have been easy to leave out the "and, it would appear." Undoubtedly the reason to include that qualifier, which doesn't attach to any other assertion in the statement, is a recognition that there is no solid evidence to support the claim of increased extreme weather. When it comes to this claim, alarmists inevitably resort to anecdotes in lieu of statistical information. And for good reason - statistical information doesn't show an increase in extreme weather. Category 3 or above, have struck the continental U.S. in a record-breaking 119 months, according to hurricane data kept by the National Oceanic & Atmospheric Administration’s (NOAA) Hurricane Research Division (HRC) dating back to 1851. But Obama is now the longest serving president (since the 1851 start of NOAA's data) not to see a major hurricane strike the U.S. during his time in office. He is also the first president since Benjamin Harrison was in office 122 years ago to have no major hurricane strike during his term. 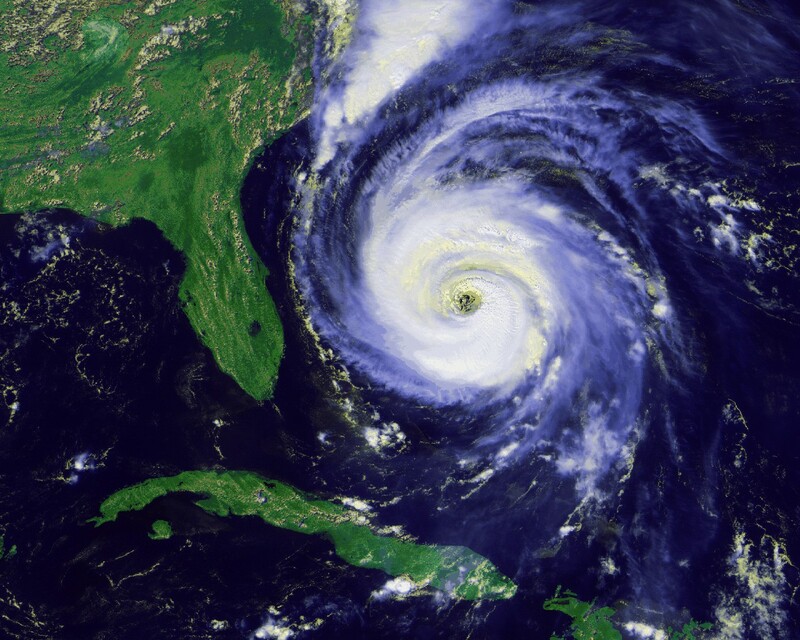 A study by Thomas R. Knutson, a research meteorologist at the Geophysical Fluid Dynamics Laboratory, found no increase in hurricane activity over the past 100 years. The study, titled "\"Global Warming and Hurricanes: An Overview of Current Research Results," was written in 2008 and updated on November 28, 2012. It sought to answer the question "Has Global Warming Affected Atlantic Hurricane Activity?" evidence for a substantial greenhouse warming induced long-term increase." "climate warming will cause hurricanes in the coming century to be more intense globally and to have higher rainfall rates than present-day hurricanes. In my view, there are better than even odds that the numbers of very intense (category 4 and 5) hurricanes will increase by a substantial fraction in some basins, while it is likely that the annual number of tropical storms globally will either decrease or remain essentially unchanged." Knutson undoubtedly knows how the media operates. If reporters stumble across his study, they could well report his conclusory statement instead of the results of the study proving that conclusory statement is wrong. The 2015 tornado year might best be described as confused. It hasn’t been a full-time dud. The most active period brought a lot of tornadoes, and it came about when it should have. However, like recent years, the oddities tend to outweigh normalcy. This year, one prominent story is the lack of big-time tornadoes. The one and only EF4+, those rated violent on the tornado scale, occurred way back in April. Such tallies threaten a tie for the least number of violent tornadoes on record. And if you add in the much more numerous but still quite intense EF3 tornadoes, we find the story of 2015’s powerful tornado drought is an even deeper one. As the year got going it seemed it was ready to continue the quiet streak we’ve seen since 2012 in particular. The summer tornado season is rarely terribly impressive, but this one was not memorable in the least. Tornado numbers relative to average again grew further apart after coming together in April-June. Throughout the ups and downs, there has been one great lacking: intense to violent tornadoes. As of publication, only 12 verified EF3 tornadoes have touched down and only one verified EF4 has occurred. This is as low as it gets. Pope Francis urges action on "climate change" to address more extreme weather that isn't happening. 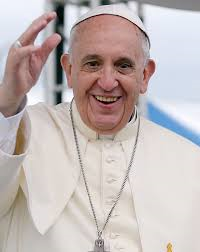 Ironically the people who are hurt the most by measures to combat carbon emissions, measures which would lead to much higher energy costs, are the very poor that Pope says he is speaking out to help. "Of all the major conservative parties in the democratic world, the Republican Party stands alone in its denial of the legitimacy of climate science. Indeed, the Republican Party stands alone in its conviction that no national or international response to climate change is needed." Who is denying the "legitimacy of climate science?" People, and certainly not just Republicans, question the theory of anthropogenic global warming which is based completely on the feeding of select information into climate models to project future temperature No one is questioning "climate change." The climate has been changing for 4.5 billion years. Of course, the whole reason for switching from global warming to climate change was because the global warming evidence was being disproved and they wanted a theory that the evidence would always prove correct. Now if it gets warmer, climate change. Colder? Climate change? More precipitation? Climate change. Drought? Climate change. More hurricanes and tornadoes? Climate change. Record low hurricanes and tornadoes (which is actually happening.) Climate change. I guess you would have told Einstein to forget his General Theory of Relativity because Newton's Theory of Gravity was "settled science." How dare Einstein question it? This is why I still use the term "global warming." Because that is what is happening, and it removes one straw man argument that deniers have. But hey, I can make a snowball in Washington, DC in the winter! Anon 5:34, the trouble is the alarmists simply ignore facts which don't fit their theory. For example, the increase in Artic and the Antarctica ice. The notion that the weather is somehow significantly different today than 30 or 40 years ago, isn't supported by the evidence. I notice you don't mention increased hurricanes and tornadoes, which hasn't happened. When you dispel one false claim, the alarmists merely move on to the next. It's like arguing with people who think 9/11 was a hoax. The bottom line is AGW claim is not based on the past, but on future projections of the temperature which rely completely on what data is fed into the computer program, and how accurate those programs are. Those computer models do not adequately take into account the No. 1 greenhouse gas, water vapor. Carbon dioxide is but a tiny fraction compared to water vapor. The increase in Arctic ice? Where, pray tell, do you get the idea that that is happening? Arctic ice extent and thickness have decreased at an alarming rate over the last decade (with some year-to-year variation, of course), and an "average" year in the 2010s would have been a record low in the 20th century. The ice extent in the Antarctic has been high in recent years because, as the ice cap melts and feeds fresh water into the ocean, the salinity drops, causing the melting point of surface water to increase. The melting point was, until this year, increasing faster than the temperature - hence increased ice extent. Conflating weather with climate is a straw man argument, as you often point out yourself when it is convenient for you. Can we agree to talk about climate, and not weather? Otherwise, I'll pull out things like 104 F in Vienna this summer, and multiple instances of 110 F in Boise, Idaho. The formation of hurricanes and tornadoes is not well understood, and I will concede that from first principles, I don't see the connection to global warming. However, concluding that a lack of increased tornado and hurricane frequency indicates that the planet isn't warming is affirming the consequent. I haven't seen you mention any data about long-term trends in worldwide average global sea surface temperature and worldwide average tropospheric temperature. Why not? Those data are at the heart of the global warming issue. I'll help you out. The year 2014 was the warmest year across global land and ocean surfaces since records began in 1880. 2015 is on track to beat that record. The previous warmest year was 2010. All ten of the warmest years on record have occurred in the last 17 years. The last year with a global average temperature that was below the 1880-2015 average was 1977. What are the odds of all that happening purely by chance? Anything else I can shoot down for you? Anon 10:42, arguing anthropogenic global warming with you is like hitting a baseball off a tee. Too easy. WEATHER V. CLIMATE: As far as weather v. climate, you have to be kidding me. There is no one worse at confusing weather and climate than the alarmists. They are constantly pointing to a hot weather, a storm, a drought, a forest fire as proof of global warming. Climate changes occur over thousands of years, yet alarmists like you are the first to claim weather events prove anthropogenic global warming theory. Even the focus on 130 years plus of recorded history, which alarmists do, is NOT climate. Climate changes over thousands of years, with temperatures constantly zigging up and zagging down over hundreds of years. You can't ascertain long term changes in the climate based on the brief history of officially recorded temperatures. ARTIC ICE: NASA reported earlier this year that Artic sea ice increased. Forbes reported it. I wrote about it. Now, in May 2015, the updated NASA data show polar sea ice is approximately 5 percent above the post-1979 average." I would note though that through most of human history, the Artic Sea has been free of ice. To paraphrase your hero, Al Gore, these are inconvenient facts. The winter ice around the southern continent has been growing relatively constantly since records began in 1979. The US National Snow and Ice Data Centre (NSIDC), which monitors sea ice using satellite data, said this week that the year’s maximum was 1.54m sq km (595,000 sq miles) above the 1981-2010 average. The past three winters have all produced record levels of ice." Also, you conveniently fail to mention that the temperatures you cite are not raw numbers. They are adjusted numbers. In the past decade, the numbers have been increasingly adjusted upward to get those supposed continued warm years. Nonetheless, why are you looking at surface temperatures? As population increases, surface temperatures increase. It's the same reason why it's warmer in a city than it is in the countryside a few miles away. It's the same reason why surface temperature readings around paved parking lots are higher than in a field. If you want to really find out if global warming is happening via the greenhouse effect, you look at atmospheric temperatures. Of course, you don't want to do that because atmospheric temperature readings show very little increase in temperatures. In the past there has been times when CO2 levels have been much higher than today. There has also been times when the climate has been warmer than today, a time before industrialization. Of course alarmists simply want people to just assume that mankind would do worse in a warmer climate. The historical evidence though shows just the opposite. Alarmists too can't make the case that the drastic measures they want adopted would have any impact on stopping the supposed the warming climate they claim will lead to disaster. Of course, AGW theory isn't about saving the world, it's about a liberal, anti-growth environmental agenda being pushed through a scientific theory that hasn't even come close to being proven. By the way, do you know the most important greenhouse gas? Well, it isn't CO2. It's water vapor. Of course, the computer models don't adequately take into consideration the effect of water vapor on temperatures. That's a pretty big flaw in the models. Besides not being Arctic-specific, these data are for area, not volume. I have already explained why Antarctic ice extent has increased in some recent years (not 2015). Arctic ice did dramatically rebound in late 2012. BECAUSE THE SUMMER WAS OVER! Come on, man. The explanation for increased Antarctic ice EXTENT (not volume) is scientifically sound and logical. Unexpected, yes. But that's the great thing about science - we learn from unexpected observations. Unfortunately, there seems to be a subset of the population who would rather not change their minds in the face of overwhelming evidence. As a case study, let's look at the historical temperature data for Hohenpeißenberg. I chose this station because it is on a mountain, unaffected by urban heat islands, and has records dating back to 1781 - although I have no doubt you will accuse me of cherry picking it for some reason. See anything out of whack? Let's look at the data in a different way. In the first 200 years of the record, there were (by my count) 11 years of 7.5 C or higher (about 5%). In the last 17 years, there have been 10 such years (59%). Although we are talking about only one station here, this is precisely aligned with the predictions that in a warming world, previously unusual weather will become the norm. To your point about CO2 - Which greenhouse gas is most important? All of them! The pre-industrial climate of the planet was the result of millenia of equilibration between Earth's constituents and its influence from the sun, the position of Earth's orbit in its precession, and a host of other factors, all of which take thousands, millions, or billions of years to change. If you add ANY greenhouse gas to the atmosphere, you disrupt that balance, and things will change. And guess what happens when you warm the atmosphere? The atmosphere will contain more water, which will increase temperature, causing the atmosphere to contain more water, and so on. If the climate were to change in EITHER direction faster than wildlife and agriculture could adapt, mankind would do worse. This is an unprecedented experiment. Naturally occurring warmer periods in the past came about over centuries and millenia, not decades. Your article about temperature adjustments seems to outline some perfectly reasonable methods for correcting biased data. No actual evidence of a conspiracy is presented, although the authors would like you to think that. Did you know that GPS time (something as simple as time!) is regularly updated and corrected? No conspiracy there either. Read the Arctic article again. NASA's satellite imagery didn't just confirm Arctic ice rebounded in 2012 because of winter, but that it rebounded in 2012 and has stayed at those levels. The article is from 2015! It also mentions a common trick of alarmists...using a baseline that makes the current climate to be an anomaly. As far as the Antarctica ice, this is also another typical alarmist strategy. They come up with a theory that supports how the climate will react. Then when the climate doesn't react as predicted, they offer yet a new explanation as to why the prediction that turned out to be wrong, actually supports the theory! It's so convenient. Atmospheric temperatures are what is important in global warming because, with the greenhouse theory, that's where the temperatures should be most prominently increasing. But they're not. The alarmists want to use surface temperatures instead which are more affected by human activity unrelated to carbon emissions. It's also affected by placement of temperature stations. Debating the validity of the adjustments to those temperatures is an article in and of itself. No, water vapor is by far the most important greenhouse gas as it is by far the most prominent. That's why its impact should not be shortchanged by climate models. But it is. As I said, arguing climate with alarmists is like arguing with people who claim that the government brought down the Towers on 9/11. When they get proved wrong on one point, they just move on to another. It's intellectual dishonesty at its worst. AGW theory is all about trying to push a liberal environmental agenda employing a trumped up crisis. Science is not about declaring a debate over, especially when it's based on computer modeling future climate. With evolution, there is plenty of evidence to support the theory. But with AGW, those pushing the theory say "trust us" that the climate will react like they predict in the computer models. Sorry, but I'm not interested in blowing up the world's economy with drastic remedial measures (and more impoverishing people who are poor) for a theoretical crisis full of holes that is based completely on computer modeling, models themselves that are far from complete in measuring everything that affects the climate. Let's just be candid though...this isn't about a threat to the environment, it's about advancing a liberal political agenda. AGW theory is just a means to accomplish that. Once again, when exactly did I say anything about your so-called "surface" temperatures? The temperature of the troposphere is increasing. Full stop. Arctic ice yearly minima in 2013, 2014, and 2015 were ALL lower than any observed EVER prior to 2006. The 2015 minimum was lower than 2013 or 2014. Would you care to explain how this is a "recovery?" You're using the shockingly low 2012 minimum as a baseline - doing the exact thing you so love to claim that "alarmists" do! Take a peek at any IR spectrum of air. It'll tell you everything you need to know (assuming you understand how the greenhouse effect works, which I strongly doubt you actually do). The absorption maximum of CO2 is stronger than that of water. This despite water being far more abundant. We could talk molecular orbitals and dipole moments, but I won't get too deep into the science here, because you're already in well above your head. What do you have to say about my weather station with a constant, unadjusted record since 1781? Did I cherry-pick that? Is it somehow an exception? Are the data doctored? Please comment. Will you do this, or will you change the subject or claim I was asking a different question, as deniers so predictably do when challenged to find their own data to support their misguided views? You want to talk intellectual dishonesty - try this on for size. What do you call someone who quotes right-wing conspiracy theory blogs instead of legitimate scientific data? What about someone who calls any sound application of the scientific method "bad science" or "dishonest?" Or someone who uses logical fallacies in the course of accusing others of using the same logical fallacies? Alarmists use surface temperatures all the time because it exaggerates warming. Troposphere temps have increased too, but much, much less. Yet those are exactly the temperatures which should be increasing the most if the so-called greenhouse effect is taking place. I'm sorry you don't like the NASA report on the Arctic ice increase beginning in 2012 that has stayed steady through 2015. But it is what it is. No, you're the one who is above your head (or at least extremely disingenuous) when it comes to science. When I prove you wrong on one point, you just move on to another claim. Or you just engage in denial, without proof. You're doing it because you're pushing a political agenda and using a scientific theory to accomplish that. Let me ask you, is there any evidence you would accept as disproving AGW? No, you'd just twist anything around to support the theory because you have a political, not a scientific agenda. Science is about questioning theories and demanding proof. It is not about declaring a theory above question. If that were true, we wouldn't have Einstein's general theory of relativity which proved Newton wrong on how gravity works. As far as quoting "right wing blogs," everything I had cited to was based on information from the scientific community. Is NASA now "right wing?" Is the information from government sources on the decreasing hurricane and tornado activity, which is completely contradictory to "climate change" theory that says we'll have more extreme weather, also right wing information? Engaging in ad hominem attacks instead of addressing the facts, is not really convincing. As far as the weather station challenge, when did I ever say the climate was not warming? It has warmed. We're now in a warmup since the Little Ice Age. Nothing unusual about that at all. These cycles have been going on forever, with the climate constantly warming and cooling in cycles that last hundreds and sometimes thousands of years. The problem the alarmists have is trying to tie this particular warmup to the activity of mankind. They have no evidence of such a link and the history of CO2 suggests increases in carbon dioxide follow, not cause, global warming. To paraphrase the patron saint of global warming, Al Gore, facts are inconvenient things. "When did I ever say the climate was not warming?" "the global warming evidence was being disproved"
"atmospheric temperature readings show very little increase in temperatures." "that's where the temperatures should be most prominently increasing. But they're not." (2) data showing that DURING THE INDUSTRIAL AGE (since 1750), increases in atmospheric CO2 have lagged behind increases in average tropospheric and/or ocean temperature (CO2 causation component). Because CO2 concentration and temperature are on different scales, this can be plotted deceptively to make a case for either side, so I'd want to know the rationale for why the data are represented in the way they are, however they are plotted. A peer-reviewed scientific article specifically about this topic would be ideal, and several should exist. Now, let me ask you - what evidence would it take for you to accept that AGW is real? Read the quoted comments again. In any of those did I ever say that the Earth was not warming? The theory is that MAN is causing dangerous global warming. I even think that man is a contributor to the warming planet. But there is no evidence that man is a major player in the warming. That yellow ball in the sky is the major player, and not the greenhouse effect as was pointed out by a just released, peer-reviewed scientific study. Again, facts are inconvenient things. Wow...you don't know what surface temperatures are? Wow. AGW is your theory not mine. You need to come up with evidence to defend it but you thus far have not done so. Can you point me to any evidence connecting the activities of man to a, slightly, warmer climate? You can't...you can only show an association between increased CO2 output and a, again slightly, warmer planet during the past few decades. Here's a clue. Association is not causation. But even the association is faulty as we've had higher CO2 levels before and we've had a warmer climate before. And if you plot out CO2 concentrations and temperatures, you will find that increased CO2 levels follows temperature changes. "There is no strong evidence that global warming is caused by human activity. The study of deuterium in the Antarctic shows that there were five global warmings and four Ice Ages during the past 400 thousand years. People first appeared on the Earth about 60 thousand years ago. However, even if human activities influence the climate, we can say that the sun with the new minimum gives humanity more time or a second chance to reduce their industrial emissions and to prepare for the sun's return to normal activity, Popova summarized." I wouldn't even go as far as Dr. Popova. I think human activity does cause the climate to warm up a bit. It's the same reason that surface temperatures are warming in a city than in the countryside. The notion that man is a major influence on a warming environment is the assertion that is absurd and not at all proven by any "evidence" alarmists have offered. You dodged my question. What evidence, if you saw it, would convince you that AGW is real? Anon 3:41, you and the alarmists are the ones who are pushing the AGW theory. I'm not. It's your burden of proof. Your entire theory is based on computer simulations of the future climate, which depend entirely on those models adequately taking into account all factors that affect the climate and that the information fed into those models is complete. There is no historical record to back up your claims. None. This isn't evolution that is based on a credible hisitorical record. AGW is based entirely on computer projections regarding the future climate, projections, by the way, that thus far which have not proven to be accurate. Again, you're like the 9/11 conspiracists who whenever they offer "evidence" of the conspiracy and it gets shot down, simply move on to other so-called evidence. Why don't you just admit that you don't have any credible evidence to offer that connects man's activity to a slight increase in warming? Namely, that there is only, at best an association between the two and that causation can easily be attributable to other factors such as that yellow ball in the sky? After all, the climate has been changing for, oh, 4.5 billion years. Within a month, the strongest hurricane in history (Patricia) and the second-strongest cyclone in Arabian Sea history (Chapala). What's this about lack of extreme weather? Anon 3:46, using anecdotal evidence of a recent hurricane and cyclone to try to refute studies that show extreme weather events declining or not increasing over decades, is not exactly persuasive.